Esteemed guitarist and composer Mark Whitfield proudly announces the January 24, 2017 release of “Grace”, his 15th album as a leader. 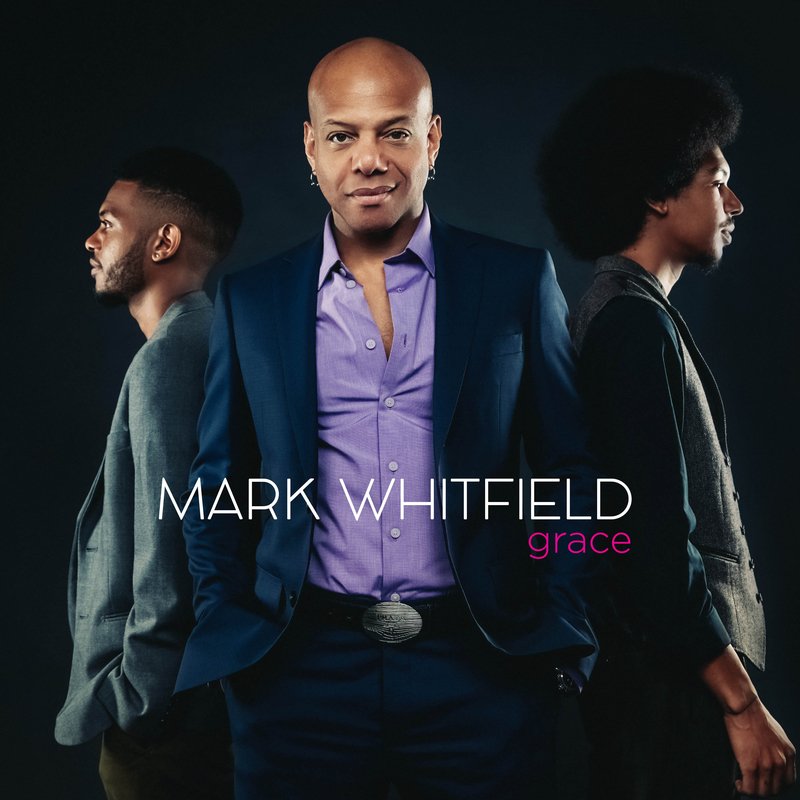 Whitfield’s first release in seven years, “Grace” is a celebration of love and legacy, family and future, as the elder Whitfield ushers in a new era of musical excellence in the form of his descendants: pianist Davis and drummer Mark Jr.
Mark Whitfield graduated from Boston’s prestigious Berklee College of Music in the spring of 1987. Shortly thereafter, he returned to his to his native New York to embark on a career as a Jazz Guitarist that afforded him the opportunity to collaborate with legendary artists including Dizzy Gillespie, Art Blakey, Quincy Jones, Ray Charles, Herbie Hancock, Carmen McRae, Gladys Knight, Burt Bacharach, Jimmy Smith, Clark Terry, Shirley Horn, Wynton Marsalis, Branford Marsalis, Joe Williams, Stanley Turrentine and his greatest teacher and mentor George Benson. In 1990 the New York Times dubbed Whitfield “The Best Young Guitarist in the Business”. Later that year, Warner Bros. released his debut album “The Marksman”. The success of his debut release led to a recording career that has produced a total of 14 solo recordings and a myriad of collaborative efforts with some of the most important artists in recent years; Sting, Steven Tyler, D’Angelo, Mary J. Blige, John Mayer, Chaka Khan, Jill Scott, Diana Krall, Christian McBride, Chris Botti, Roy Hargrove and Nicholas Payton. In 1994 The Mark Whitfield Quartet appeared on the Thanksgiving Day broadcast of Good Morning America. This performance featured a very special guest drummer, 4 year old Mark Whitfield Jr. It was obvious even then that he was destined for greatness. Following in his father’s footsteps he attended the Berklee College of Music and graduated in 2011 with honors. He went on to study for his Masters Degree at the Manhattan School of Music while simultaneously embarking on a career as a drummer extraordinaire. He has quickly earned a reputation as one of the best young drummers in Jazz and was nominated for a Grammy in 2014 as part of the ensemble featured on Kenny Garrett’s 2013 release “Pushing the World Away”. Not to be outdone by his older brother, Davis Whitfield, a prodigious pianist, earned a Presidential Scholarship and graduated from the Berklee College of Music with honors in 2014. Mark Jr. I am so glad that you have had a successful career in your passion: MUSIC!!! Continue to follow your Dreams!!!!! I taught you at BRCVPA! I was the Talented Theatre Teacher with Talented Music Teacher, Ms. Jo Garner!! !